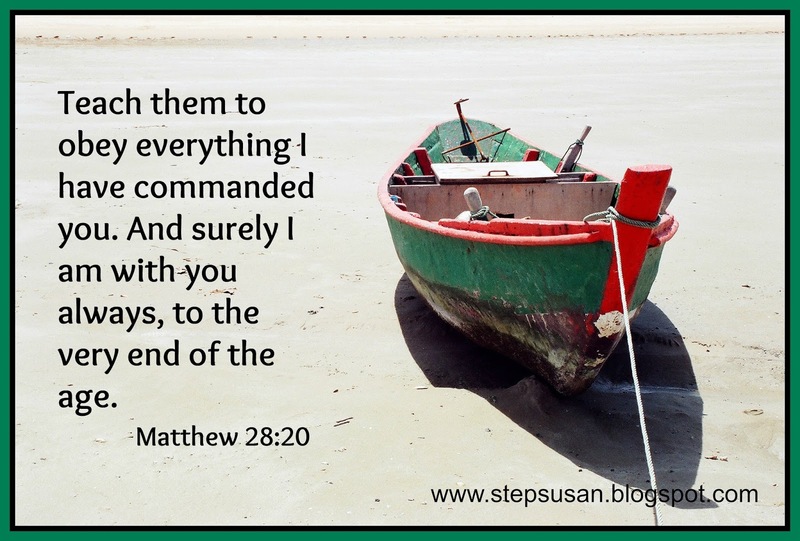 Steps: Learn the Word - Verse #17 and July's winner! Learn the Word - Verse #17 and July's winner! Karen (who also happens to be my aunt...***virtual wave***) check out the bag on the right and email or Facebook me your choice. :) I love that -- " in fact, the fact that I didn't struggle..." see! That's what I'm going for. Having his word so close that the sword is always sharpened for battle! So comforting! And I needed to read that this morning. This verse is very comforting! It's awesome to wrap your mind around the fact He is always with us. Like a blanket:) SO comforting! Great to see you, Michelle!